This is not a case of keeping people off the streets at night, as was Hirabayashi v. United States, 320 U.S. 81, nor a case of temporary exclusion of a citizen from an area for his own safety or that of the community, nor a case of offering him an opportunity to go temporarily out of an area where his presence might cause danger to himself or to his fellows. On the contrary, it is the case of convicting a citizen as a punishment for not submitting to imprisonment in a concentration camp, based on his ancestry, and solely because of his ancestry, without evidence or inquiry concerning his loyalty and good disposition towards the United States. If this be a correct statement of the facts disclosed by this record, and facts of which we take judicial notice, I need hardly labor the conclusion that Constitutional rights have been violated. 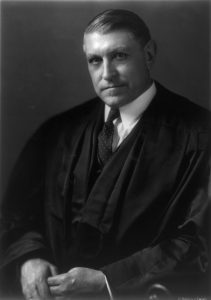 The Government’s argument, and the opinion of the court, in my judgment, erroneously divide that which is single and indivisible, and thus make the case appear as if the petitioner violated a Military Order, sanctioned by Act of Congress, which excluded him from his home by refusing voluntarily to leave, and so knowingly and intentionally defying the order and the Act of Congress. A chronological recitation of events will make it plain that the petitioner’s supposed offense did not, in truth, consist in his refusal voluntarily to leave the area which included his home in obedience to the order excluding him therefrom. Critical attention must be given to the dates and sequence of events. February 20, 1942, Lieutenant General DeWitt was designated Military Commander of the Western Defense Command embracing the westernmost states of the Union — about one-fourth of the total area of the nation. March 2, 192, General DeWitt promulgated Public Proclamation No. 1, [n2] which recites that the entire Pacific Coast is “particularly subject to attack, to attempted invasion . . . , and, in connection therewith, is subject to espionage and acts of sabotage.” It states that, “as a matter of military necessity,” certain military areas and zones are established known as Military Areas Nos. 1 and 2. It adds that “[s]uch persons or classes of persons as the situation may require” will, by subsequent orders, “be excluded from all of Military Area No. 1” and from certain zones in Military Area No. 2. Subsequent proclamations were made which, together with Proclamation No. 1, included in such areas and zones all of California, Washington, Oregon, Idaho, Montana, Nevada and Utah, and the southern portion of Arizona. The orders required that, if any person of Japanese, German or Italian ancestry residing in Area No. 1 desired to change his habitual residence, he must execute and deliver to the authorities a Change of Residence Notice. San Leandro, the city of petitioner’s residence, lies in Military Area No. 1.